A few months ago, we asked for input from our readers on topics of interest. One of the requested items was insurance knowledge. We found that many people don’t realize that they will be required to list all items they are claiming after a loss. Having a home inventory is essential to help you recover sufficiently and in a timely manner. Be sure to discuss this with your agent when you meet with him or her to review your homeowner’s policy. These basic terms will be a good start to helping you understand what your agent is talking about. Sometimes the terms can seem to be almost in a different language! Having this knowledge will help when discussing your coverages with your insurance agent. 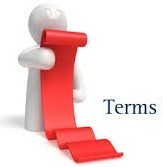 Declarations page – The page in a policy that shows the name and address of the insurer, the period of time a policy is in force, the amount of the premium, coverage, and deductible(s). Exclusion – A provision in an insurance policy that denies coverage for certain perils, people, property, locations, or circumstances. Insurer – The insurance company (not the agent). Peril – A specific risk or cause of loss covered by an insurance policy, such as a fire, windstorm, flood, or theft. A named-peril policy covers the policyholder only for the risks named in a policy. An all-risk policy covers all causes of loss except those specifically excluded. Personal property – All tangible property (other than land) that is either temporary or movable in some way, such as furniture, electronics, jewelry, etc. When purchasing new insurance, or updating a current policy, be sure to ask your agent to explain any terms you are unfamiliar with.